BRIDES AND WEDDING SHOPPERS NEED YOUR SERVICE. Place a business listing in Annie Sherman Vintage Jewelry the brides and wedding shoppers can find you! Place A Business Listing So The Brides And Wedding Shoppers Can Find YOU! HAWAII WEDDING SERVICE - Hawaii Wedding Service has been providing custom wedding services for almost two decades to people from around the world including Asia, Europe, Canada and, of course, the good old United States! We create the wedding of your dreams - Gorgeous locations from romantic sunset on the beach to elegant poolside Estates. We take care of all the work so you don't have to. Catering, cakes, flowers, videography, photography, entertainment, limousines, etc. Our rates range from our Romantic Simple Package of $450 to Romantic Extravagant Package of $3,500. There is something for every budget. Whichever package you choose, you'll be blessed with a memorable wedding of a lifetime. All the packages can be customized to suit your personal needs. Come and enjoy the the rich culture of romantic Hawaii, a beautiful wedding you'll forever treasure! 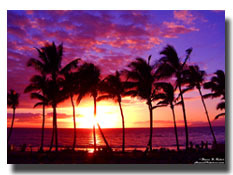 E-mail: HawaiiWeddingService@yahoo.com. Phone:(808) 990-7738. Fax: (808) 325-7661. 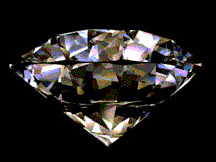 Address: Hawaii Wedding Service, 61-2812 Anywhere Street, Anywhere City, HI 96740, U.S.A.Website: www.HawaiiWeddingsForYou.com. Regular Business Listing (One Year) - One Category - $98.00. Premium Business Listing (One Year) - Up to three Categories - $198.00. Each Additional Category is only $8.00. Order by October 8, your business name, e-mail and website links, phone, fax numbers, address, and a brief description of your product/service will be e-mailed to the customers/prospects, many of whom are wedding shoppers, of my opt-in no-spamming ever-growing mailing list! Don't miss this fantastic opportunity to give your business additional exposure! ORDER NOW! E-mail me annie96745@yahoo.com the photo (jpeg format), or tell me where I can download it, and a description of your product or service including contact information (please see sample Business Listing above). Let me know the Category or Categories you want your business listing placed. You may suggest a category. Premium Business Listing, please also e-mail me three key words. Let me know how you'll pay. I will acknowledge receipt of payment and will upload your business listing within 48 hours. Each Additional Category is $8.00. PayPal is the largest online payment service used and trusted by millions of people. It is secure. You'll receive a payment confirmation receipt from PayPal via e-mail instantaneously. They don't charge you any transaction fee and it is easy and free to open an account with them. If you already have an account with PayPal or want to open a free account, please click on the PayPal logo. The payment must please be in U.S. dollars. I do not accept orders from competitors. You provide the photo and wording. I do not modify the photo or the wording. The accuracy of your business listing is your responsibility. The business listing will not be listed in alphebatical order. First come first serve. I do not guarantee ranking, traffic or business.